And no need to make a last-minute run to buy overpriced Halloween face paint if you have shortening, cornstarch, flour, and food coloring at home. If you're probably never going to get around to that multi-colored biscuit recipe you've been meaning to try, then you might as well use those ingredients to whip yourself up some non-toxic, homemade face paint for your Frankenstein clown makeup. I unfortunately do not know what can substitute shortening, the best bet may be to find alternative recipes that don't require shortening. Here's a recipe that doesn't use shortening for white make-up base. Hope this helps! For those wanting a cheap, easy and extremely realistic looking blood...... chocolate syrup and red food coloring. It looks amazing and is delicious. If you have a costume and want to add some pure disgust, add some red food coloring tinted chocolate blood and just start licking it. I did a zombie costume a few years back and used this type blood. I also made a brain cake that was dripping with this blood and was eating it while I was walking around. Red velvet cake, light pink fondant and this blood dripping. I almost made several people faint. 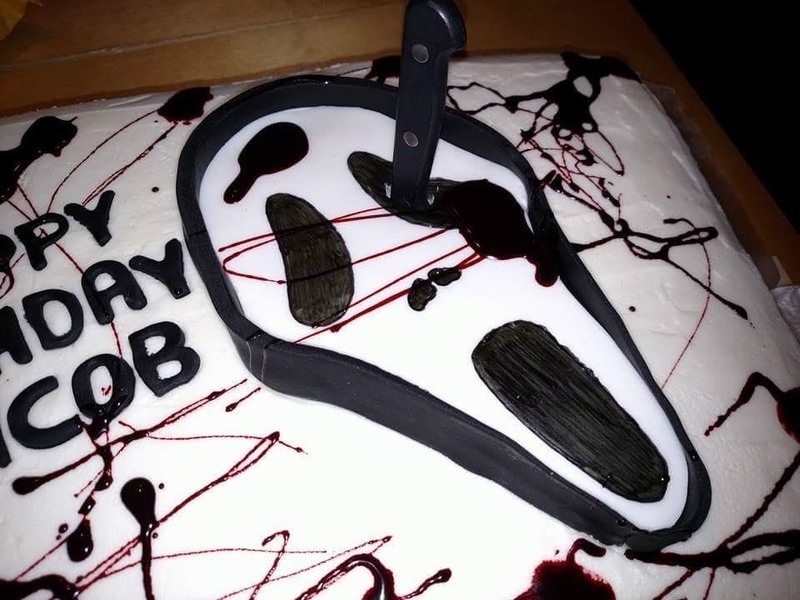 I uploaded a photo of my nephew's birthday cake where I used this blood. Just a thought for those who need a cheap, but realistic looking blood. And if you just so happen to get some on your hands and lick it off and gross some people out.....well that's a win win.